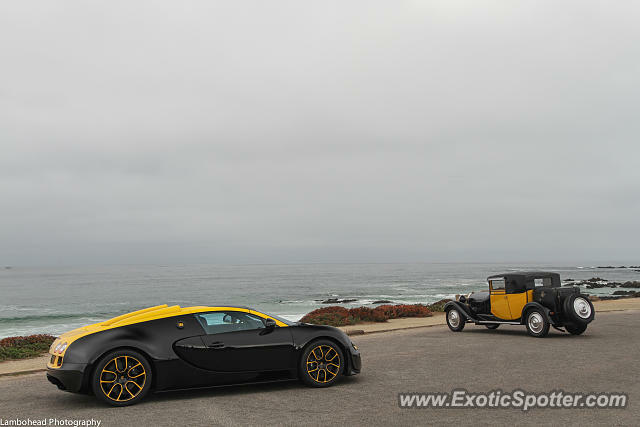 Not sure what the other model is, but this is the one/one veyron! How did I miss this?!? Spectacular shot and angle, L/F for sure! I can assure you that this is my photo. I don't steal other people's photo's and post them as my own. Bugatti set up this shoot for their press photos but that doesn't mean other people can't stumble upon it and get photos too. The other car is a 1928 Bugatti Type 44 Gangloff Coupe Fiacre from the Mullin Automotive Museum. And how do you know those aren't his photos too? Yah this is my photo. Why wouldn't it be ? Is this photo allowed? Because it looks to be a photo shoot... Otherwise, great photo! The classic one is the Type 44 it's modeled after.